This gig is getting tougher. If you’d made me compile a list of my favourite Tassie beers released a few years ago, it’d be finished in half an hour. Nowadays, though, working out which crafty concoctions deserve a mention in the best of the Tasmania’s brews for 2016 has taken many weeks, countless conversations, and some bloody rough mornings. We’ve always been fond of a drink in Van Diemen’s Land, but this island at the bottom of the world is shaping up to become the centre of a booze bonanza, and good beer is right in the thick of that. They tell me that we have more microbreweries per capita than any other state in Australia. As elsewhere in the country, the breweries and the bars keep multiplying. One brewer told me that he sees Tassie turning into something like Portland, Oregon, and that doesn’t seem as far-fetched as it might have not so long ago. I’ve amalgamated this list from conversations with all sorts of characters, including brewers, bar staff, beer writers, and regulars in the better craft beer establishments of the isle. A special thanks goes to Luke Dempsey of Saint John Craft Beer in Launceston and Kris Miles from The Winston bar in North Hobart, who made the time to have a chat, share their lists, and pour a few fine beers from their taps. Winston owner and brewer Kris Miles atop his tiny microbrewery not long before he brewed his first beers earlier this year. Having spent a bit of time leaning on the bar top at the The Winston nutting out this list, it might seem a bit dodgy to readers from outside of Tasmania that The Winston appears frequently on here. 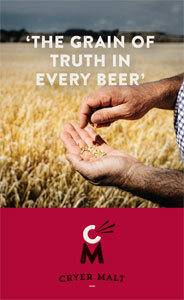 No craft beer lover in Tasmania will be surprised, though. As a venue, The Winston has been a venerable purveyor of great beers for a while now, so when they started brewing their own, it was inevitable that it would be of the highest calibre. 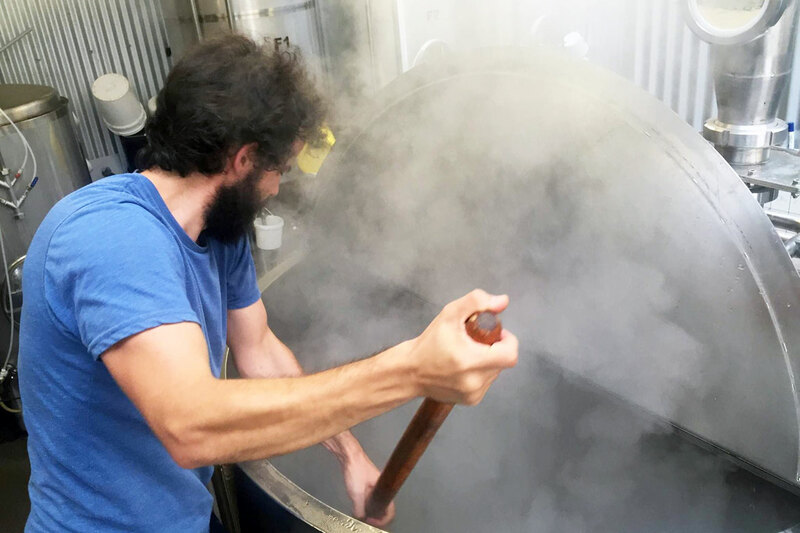 The Winston has a good knack of kneading the US of A into its North Hobart premises, so the brewery's success in constructing an American style barrel aged brown ale is par for the course. This boisterous brown is hopped with Tassie grown Ella hops and has spent some time in American and Tasmanian whisk(e)y barrels. A big, loud, flavourful beer. A third Winston beer that deserves to make this list: the spicy, roasty Black Rye IPA. A big 8 percenter, this is the sort of beer that suits the Winston ethos and aesthetic ideally: it pours perfectly into a pint glass and does not relent on flavour whatsoever. Classic Winston. Plopped into prime real estate down on the waterfront, Hobart Brewing Company’s brewery shed has seen plenty of visitors since it opened in March. Their “beer park” (pictured) is home to all sorts of live events and thankfully, their list of beers consistently impresses. The pick of their beers this year has been the Colorado IPA, a happy homage by head brewer Scott Overdorf, who previously plied his trade in that state of the USA. Chinook, Centennial, Amarillo and Simcoe combine to provide a wickedly juicy India pale ale. Paul Morrison has had a big year. In October, his brewery turned five years old and, on the back of it, demand for Morrison Brewery beers is growing rapidly. The quality is getting better too. Of the drinkers I spoke with, the Imperial Pilsner was Morrison’s most highly-lauded 2016 release. A New World pilsner with a floral Kiwi hop approach, it manages a crisp mouthfeel while still being big on content. Or, “high in alcohol but easy to slam down fast,” as one fan of the beer said. This was originally brewed in a 20 litre batch for the handpump at Saint John Craft Beer. The weekly handpump release at Saint John always makes for a good Thursday night, but the quick extinction of this batch gave a good indication how many drinkers went back for repeated pints after their first taste. A bigger batch was subsequently produced, but it’s still unlikely to ever reach your tastebuds. Yet, for those who tried it, this well-rounded Vermont-style IPA made a lasting impression. 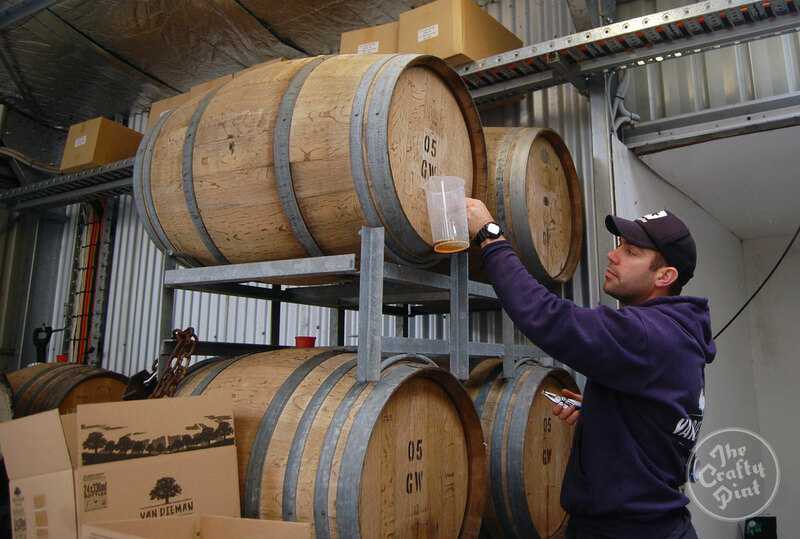 The laid-back master of all things beer at Bruny Island, Evan Hunter. 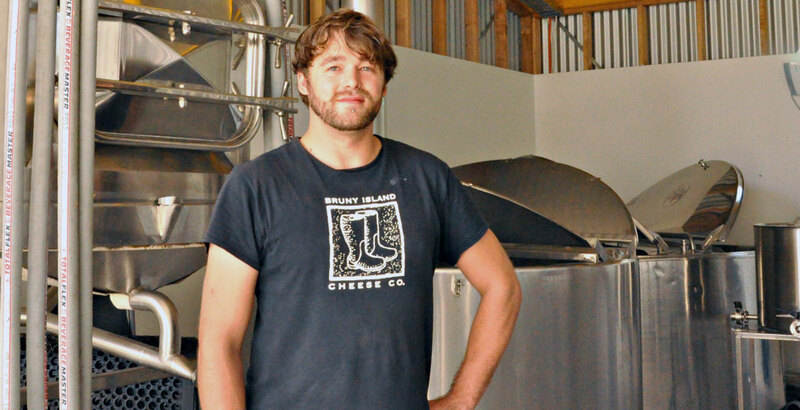 Another new brewery on the scene is Bruny Island Beer, whose setup alongside an artisanal cheese-maker on the stunning island south of Hobart makes it one of the best beer destinations on the planet. All of their beers have been of a high quality and, in the end, the Metric Stout only just edged ahead of a couple of their other brews. Weighing in at 9.5 percent ABV, this is a heavyweight that plants a rollicking black bitterness onto the back of the palate. I’ll be holding onto a bottle of this for a few years yet. 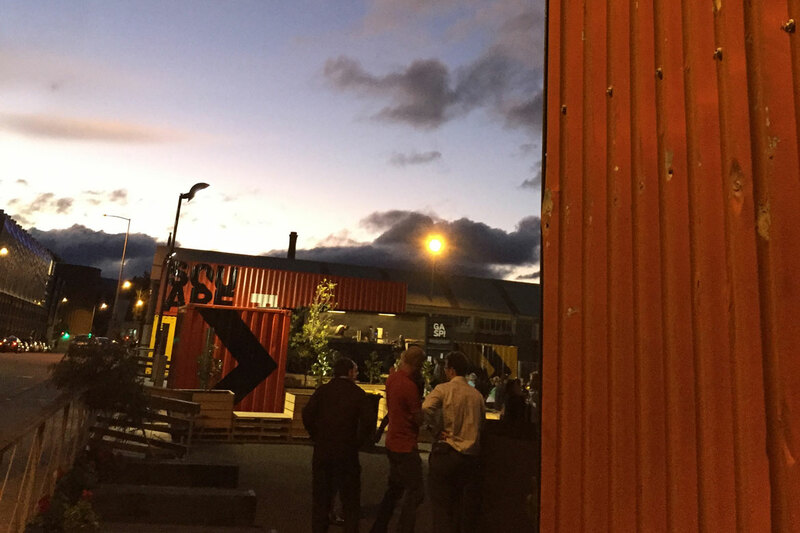 Although the idea behind Ocho is to send beer fresh to punters around Australia by mail, the brewery’s launch in autumn 2016 was a delight to locals as well. 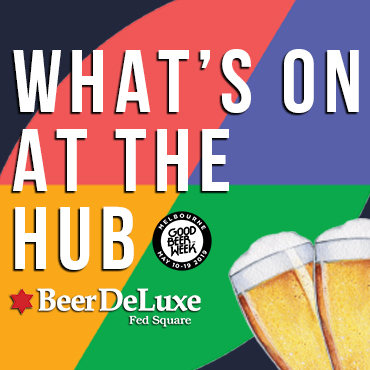 Each month brings a new treat from the reliable-yet-experimental brewer Stu Grant, and a fun way to throw the cat amongst the pigeons has been to ask a group of drinkers which their favourite Ocho beer has been. 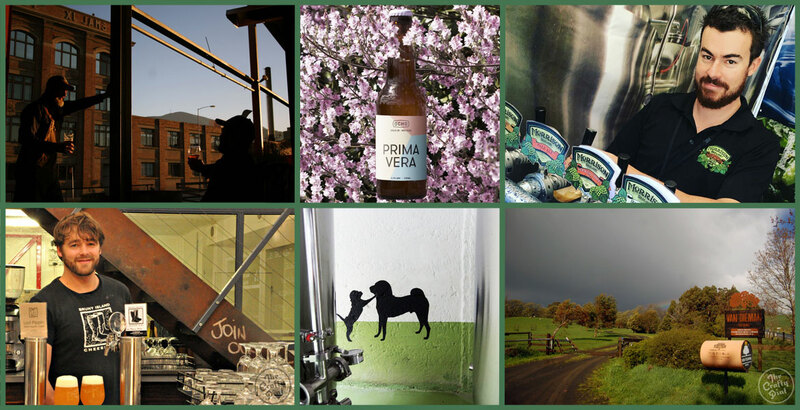 My personal favourite was the Primavera saison, brewed with wheat and hopped with the charmingly-named HPA-035. A spunky beer. 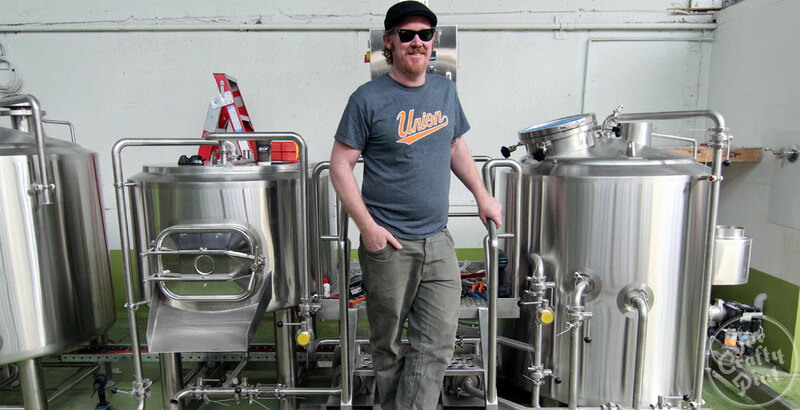 Ocho Beer founder and brewer Stu Grant, who brews for Van Dieman as well as creating his own very many beers. The other popular candidate from Ocho was titled Wilderness: an India pale ale aged in ex-Pinot Noir barrels and fermented using wild Launcestonian yeasts. This was a beer that sums up the kind of bold strides Ocho is taking into brewing – one that we hope other Tassie brewers can follow with the same sort of confidence, conviction and success. To be honest, it surprises me that yet another IPA rounds out the list (and it could have been one or two others). What’s not so surprising is that it’s from Tasmanian craft beer veterans Van Dieman, who continue to adapt to the brewing landscape here. 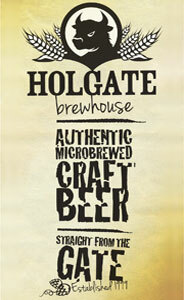 A full-bodied, fruity brew loaded with Amarillo and Mosaic hops, it may well be big enough to shut up most motormouths. Will Tatchell of Van Dieman tending to elements of his expanding barrel and wild fermentation program. It’s been good fun putting this list together, but it’s almost painful to leave so many tasty beers out of the list. On the other hand, I’m thrilled to be a part of the ever-evolving beerscape in Tassie, and especially since so many tremendous people are involved. Thanks for herding the cats into shape, Bert, and thanks to the brewers of Tassie for making his – and his fellow voters – job harder than ever before. Do you agree with their list or do you think we've missed some stone cold classics? Either way, look out for more on the hop harvest festival Bert speaks of too as we're looking to get involved from a Crafty perspective. And, if you fancy heading back in time, here's our top ten from Tasmania in 2015.